Home / SkinCare / MONUPLUS Super Serum Duo. The Super Serum Duo are the perfect anti-ageing products to introduce into your skincare regime. Suitable for all skin types, both products are packed full of active ingredients that are known to reverse the signs of ageing, whilst also targeting hyperpigmentation and sun damaged skin. The two products are the ultimate anti-ageing system, that when used together, re-educate and uplift the skin transforming complexions to look youthful and full of vitality. 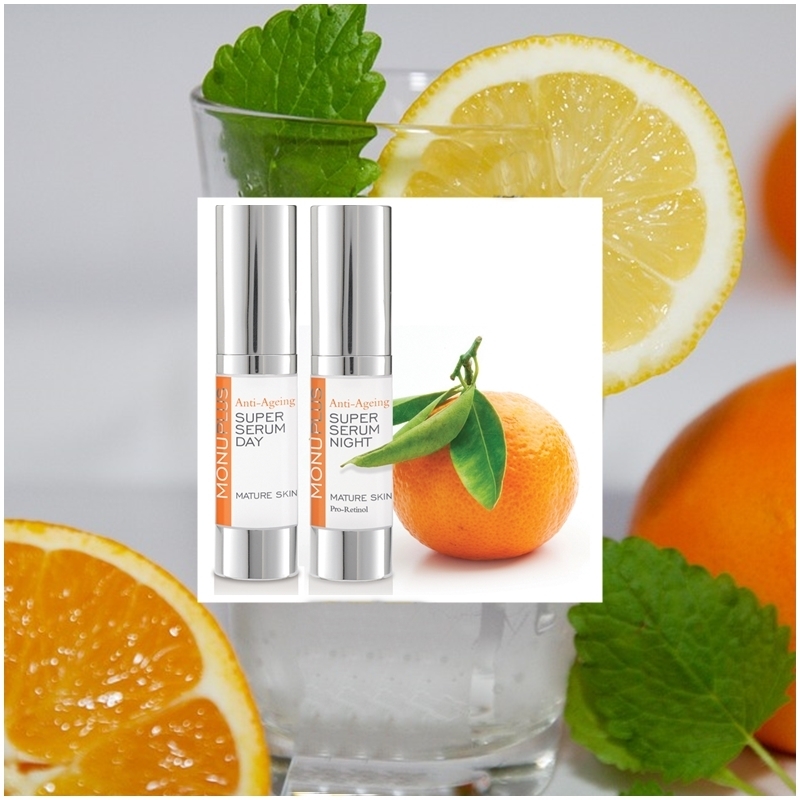 The day and night super serums contain Vitamin C to boost radiance, Vitamin C works to promote the production of collagen, diminish sun damage (pigmentation) and can protect skin from the suns harmful rays (always wear sun protection for added protection). Wild Yam Root Extract has many beneficial skin benefits, as its known as a compound called diosgenin. Diosgenin is used in cosmetics to fight the loss of collagen helping to plump skin, acts as a depigmenting agent to reduce pigmentation, is an antioxidant, anti-inflammatory, and has antimicrobial properties. The popular skincare ingredient plays a key role for skin to become better moisturised and look healthier thanks to the many benefits it can achieve when used on your skin. Cassia Alata Leaf Extract treats a number of skin issues, thanks to its anti-inflammatory properties, and also helps to reduce the visible signs of photo-ageing. The super serum night contains the proven anti-ageing ingredient Retinol that reduces wrinkles and fine lines whilst also reversing sun damage. The super serum duo are both packaged in an air tight container with a pump that dispenses just the right amount of product to use. Using two pumps (that's all you need) to apply to a cleansed skin, over face and neck, massaging gently until its absorbed. The great thing is you can still use your favourite serum you currently use, then apply the MONU serum over the top, before applying your moisturiser and SPF. I love how both serums apply easily and skin feels moisturised without feeling or looking greasy. Skin instantly looks radiant and healthier and these are a lovely complexion boost to add into your current skincare regime. 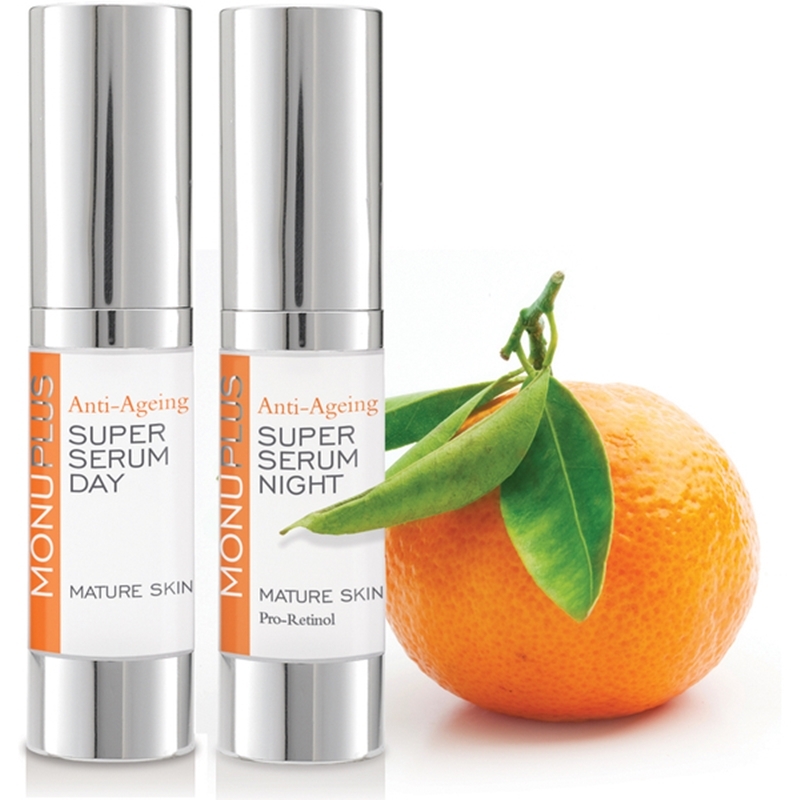 You must remember to apply an SPF the following morning when using the super night serum and the super serum duo is advised by MONU that once a course is completed a three month break is taken. 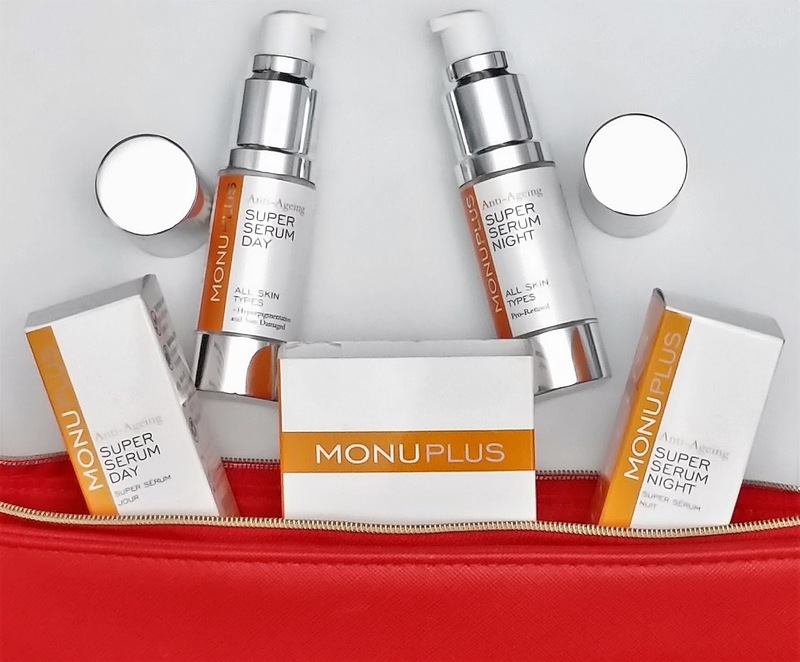 Experience the high performance natural ingredients yourself by heading over and checking out the MONUPLUS Super Serum Duo. X Neil.